So it’s official. I got to make my own Big Mac last week! Like I really think I’ve finally fulfilled my childhood dreams of winning Bob’s Burger game. 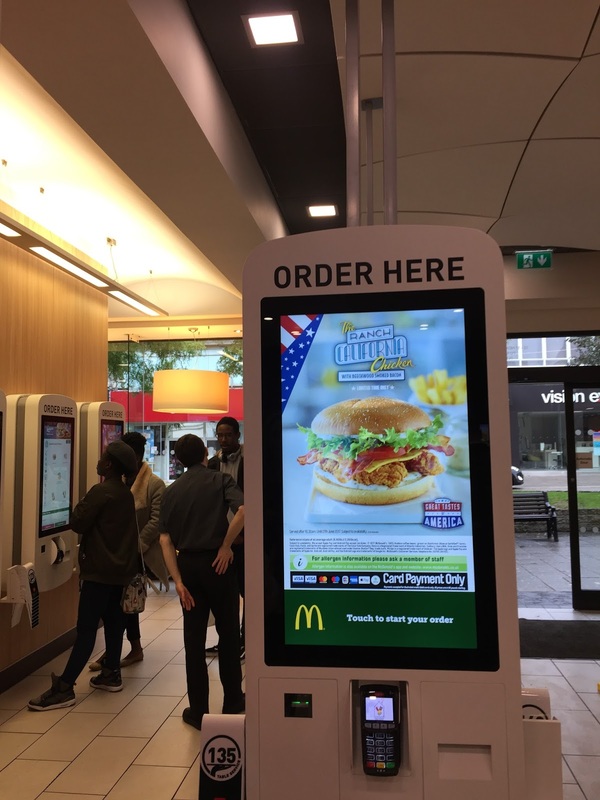 There always was something so satisfying about building burgers and serving the customer’s within the one minute time frame, and McDonalds really isn’t that dissimilar! But it’s not as easy as putting a few patties on a burger bun and passing it to the customer in the queue, as I found out after my behind the scenes tour in the kitchen. There’s no surprise that McDonalds didn’t become the multi national success it did without an efficient production line, hard workers and the commitment to customer care, this was all evident at my night I spent at McDonalds in Plymouth. 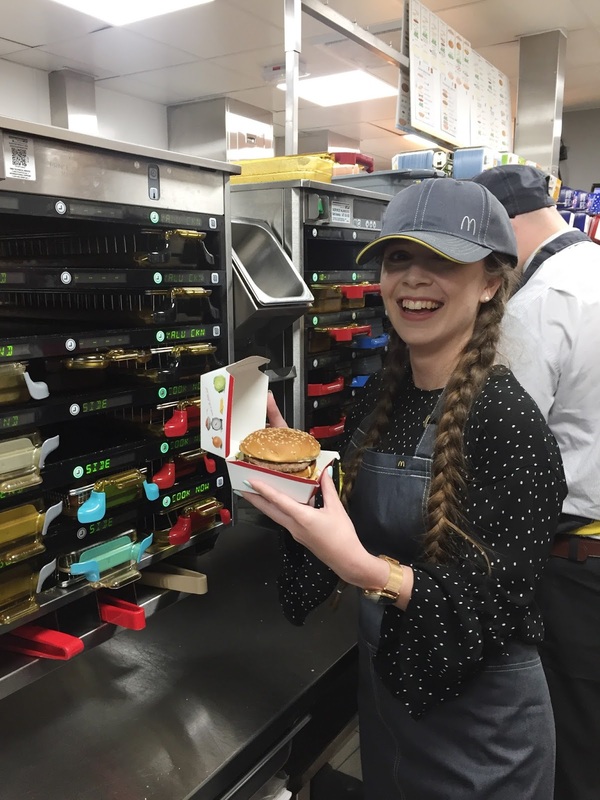 As ever McDonalds have always had to keep abreast of changes in the industry to stay at the top of their game and with that, they’ve transformed 800 restaurants in the UK, and Plymouth just happened to be one of them which has been updated to provide customer’s of 2017 with what they need. It’s fair to say that McDonalds has evolved over the years to meet the expectations of the public. Here’s 6 things about Your New McDonalds that might just surprise you! The kiosks allow you to customise your food, add in what you want and remove the elements you don’t want. The kiosk is also available in a variety of different languages and the screen can be displayed at a lower setting too which has fantastically catered to children and those in wheelchairs too. It’s a thumbs up all round from me! 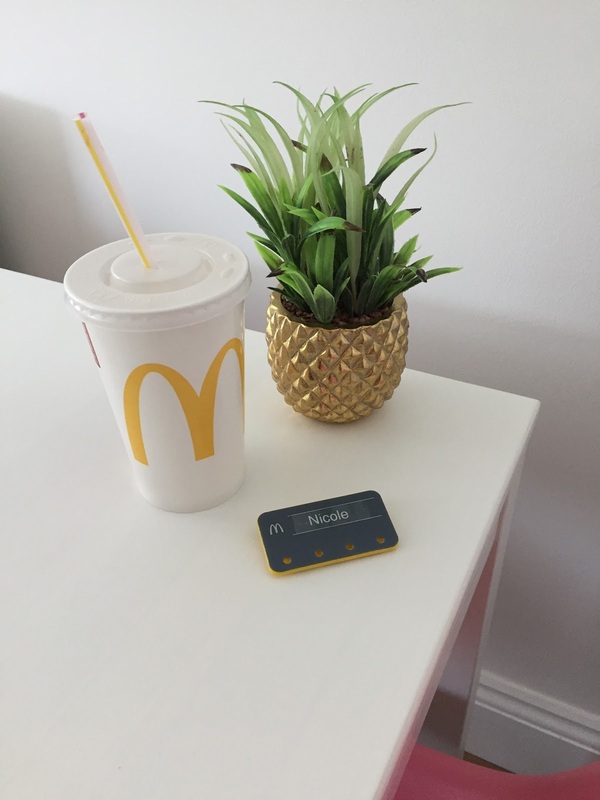 PUBLIC SERVICE ANNOUNCEMENT – MCDONALDS DO TABLE SERVICE. 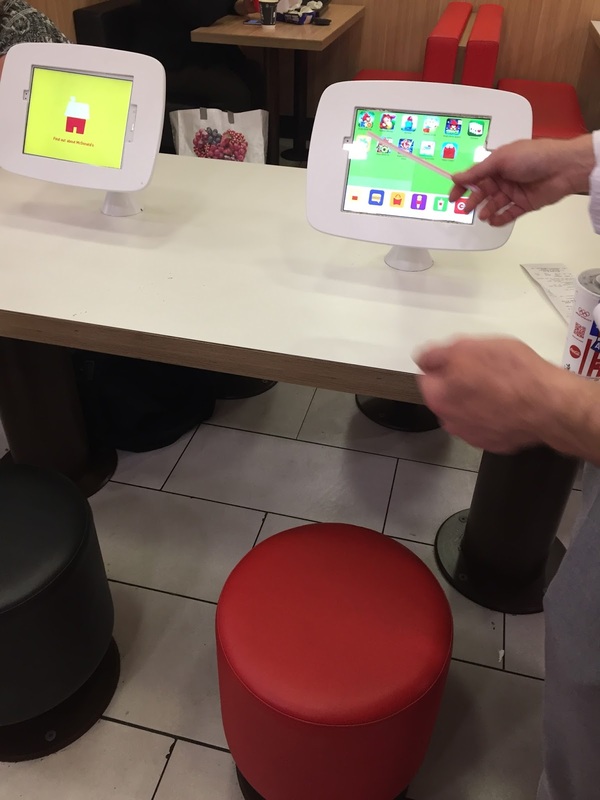 In all the updated stores, McDonalds now offer table service, genius!! 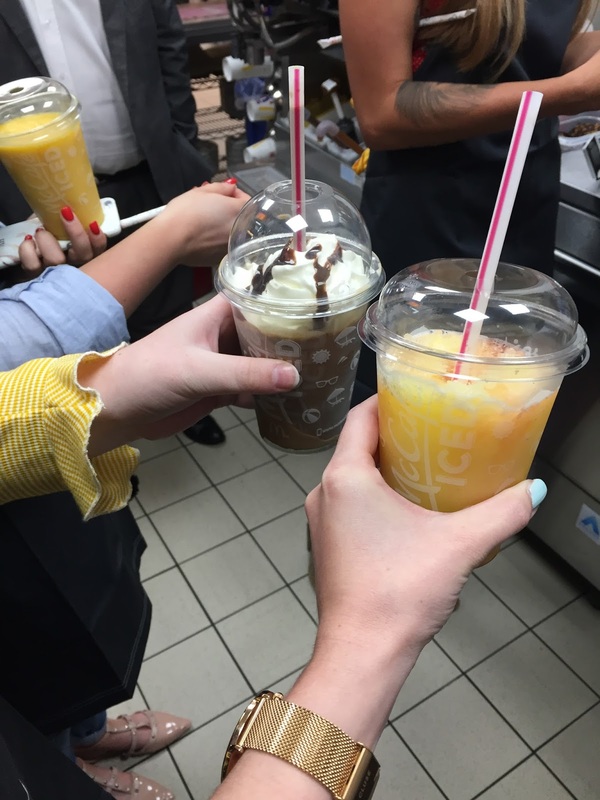 Whether you’re feeling a bit tired, have a big party of people or just fancy being waited on this is a brilliant idea that really makes the whole McDonalds experience centred towards the customer’s needs. 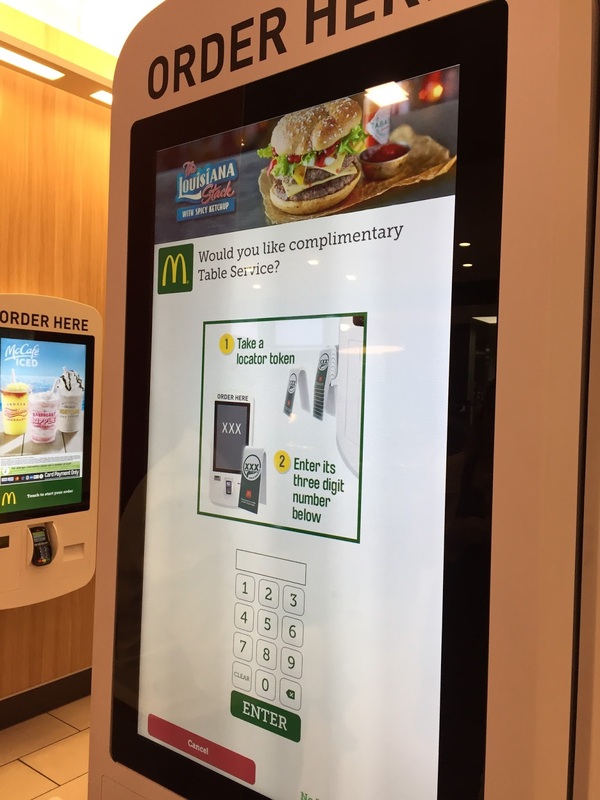 When ordering on the self service kiosk it will give you option for table service, you then take a number and they’ll locate your table with the tracking device on the number. 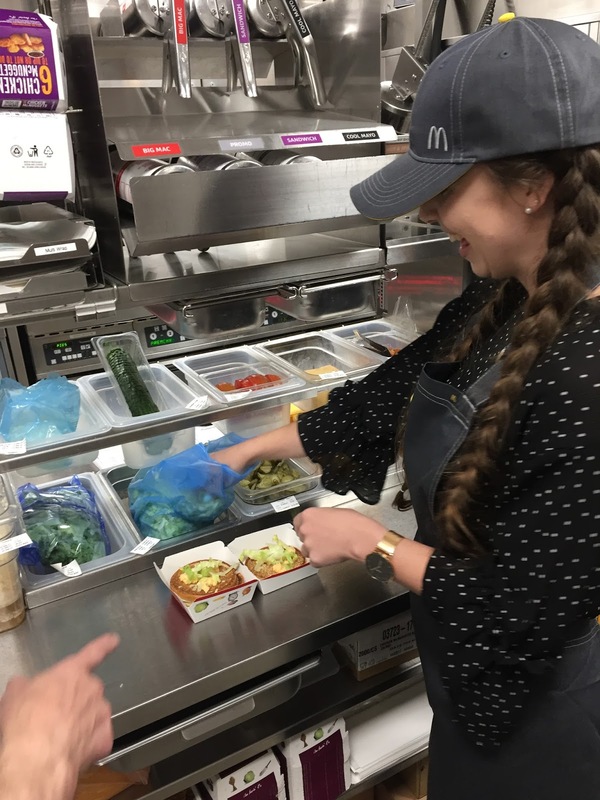 It’s evident that McDonalds have got their production line and kitchen design down to a tee, when you have to get the orders out within a short time frame everything has to be as efficient as possible, as I learnt when I got to make my own big mac! Despite it taking me about 5 minutes to get from A to B with building it, everything is lined up in order of the different elements of the burger, there’s instructions how to build each burger above (but you’re not likely to need this if you’ve been working there a while) and each step of making a big mac was under 10 seconds, so you can be sure that the big mac is out within a minute. The sides of the kitchen are warm too which I thought was really clever, this means that as the food is made and moves along the production line it’s always staying as warm as possible for the customer at the end. As part of their digital evolution, they’ve also added in tablets to the store so you can browse on the go with your big mac, do some shopping, catch up with your blog reading or just check your emails. These are perfectly positioned so children can use them too, they’re apparently a big hit with business people in the evening who are popping in to check their emails and grab a bit of wifi in a comfortable place. I couldn’t not include the new summer drink additions to the range. I automatically only think of lemonade and coke when it comes to McDonalds drinks which is incredibly inaccurate! Their new summer drinks definitely give a few big coffee houses a run for their money, and at a fraction of their price! The Frozen Strawberry Lemonade was a favourite of mine, it’s the perfect refreshing cooler drink for the summer. I’ll definitely think twice about what drink I’m ordering next time I’m in there! Contrary to a lot of people’s assumptions about McDonalds, their food is made with fresh, natural ingredients. How many of you actually knew that? But seriously, their chicken nuggets are made with 100% chicken breast meat, their fries are made from British potatoes and YES, they do use real eggs! Take a look at their FAQ’s for the inside scoop on their food! Over the years they’ve become a lot more transparent with their food, what it contains and the nutritional information that consumers really want to know about their food. All of this information is now easily accessible, it can be found on the new self service kiosks, online, on the packaging and by asking members of staff. Just because McDonalds is known as that fast food place, it’s not all bad – it’s just about making the right decisions with your food and educating yourself about what’s going into your body! It was certainly an eye opening experience getting a behind the scenes tour of a real working McDonalds kitchen. It was also amazing to hear about how much McDonalds do for the community and their commitment to keeping their staff happy, it’s definitely something a lot more companies could learn about! What do you think of the new McDonalds? 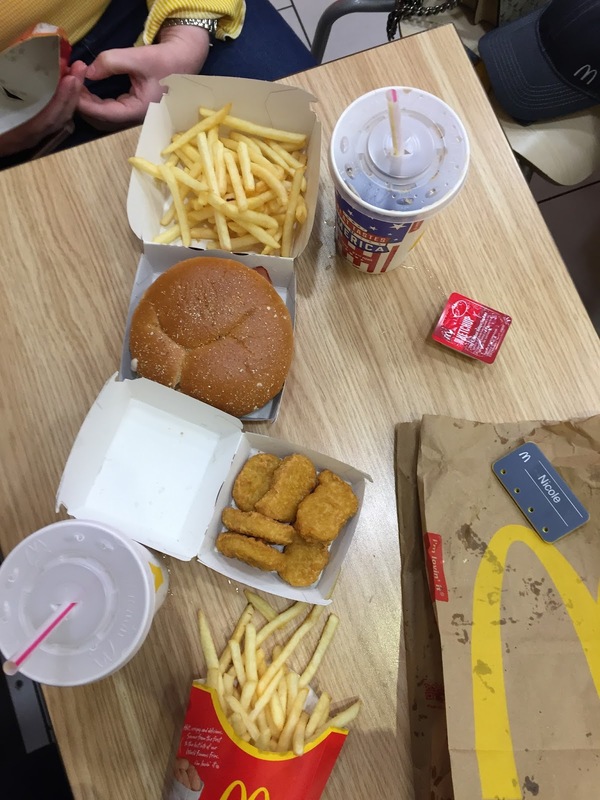 *This is a collaborative post with Mcdonalds, but as always all opinions are 100% my own, and McDonalds chicken nuckets and dairy milk mcflurries really are life!